Being in a low ceiling house or apartment can create a notion of being cramped or restricted. Creating an illusion of high ceiling is one approach you can make to your home to make it look a lot bigger than it actually is. With high ceiling illusion, your home may look clearer, and may receive a relaxing atmosphere. One of the best ways in producing a high ceiling illusion is the use of stripes or vertical lines. Vertical stripes in pastel hues on the walls can form the ceiling appear higher. 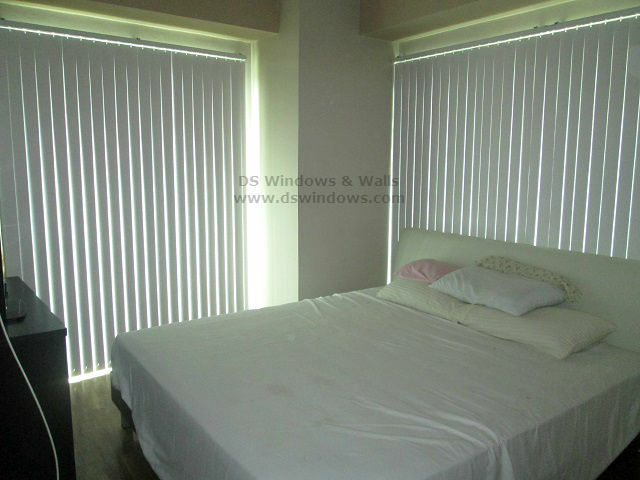 To produce a high ceiling illusion, our client from Pasay Metro Manila, used PVC Vertical Blinds for his living and bedroom. 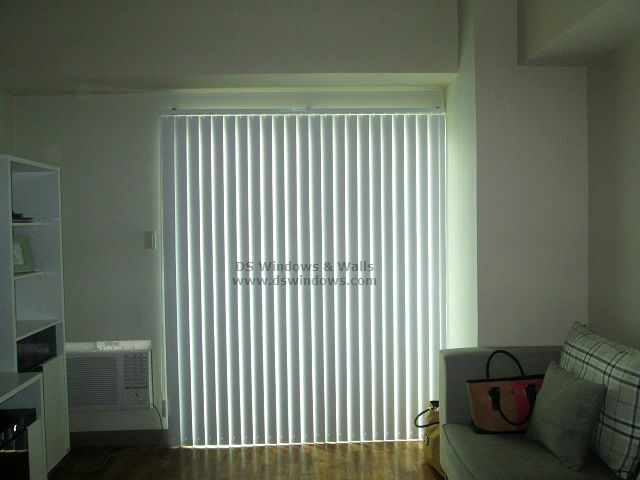 Vertical blinds emphasize height by leading the eye from top to bottom in one straight line. They also provide an easy going path to point light into your room, by inclining the blinds for your choice of full or partial sunlight, filtered light. You might also notice that our client chooses a white color, for it also create a sense of height and expansiveness and it will ponder a great deal of light, giving rise to the sense of increased height. Here in DS Windows & Walls, we have a wide variety of colors of PVC Vertical Blinds that will surely help you in making a high ceiling illusion. 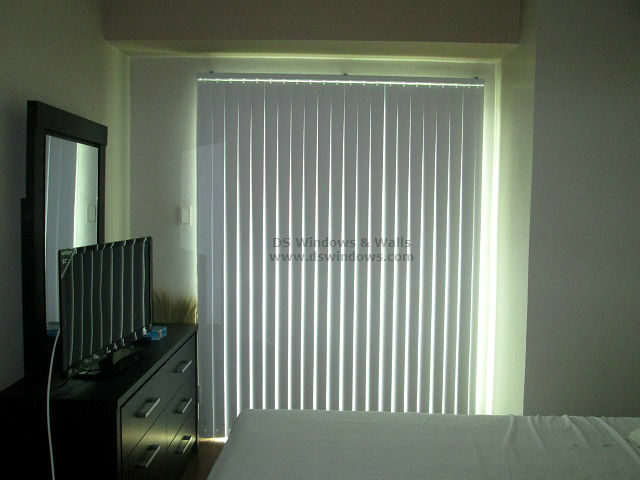 You can visit 4th level Waltermart Makati, 3rd level Robinson Metro East, Pasig City and 2nd level Pacific Mall, Lucena City or you may browse our web store at www.angryblinds.com.ph. For questions or inquiries, you may email us at inquiry@dswindows.com or call us at (02) 403-3262, (02) 668-9668, (02) 893-1373 and 0916-311-3909.